12214 77 Street - Main Floor in Elmwood Park! Located Just Off Fort Road and 75th Street, this spacious main floor is sure to impress! Blocks away from the major amenities at Parkdale Square and surrounded by various schools and parks this location offers premium access to the Yellowhead Highway as well as 75 Street and 118th Avenue. Walk inside the main floor and find a large front living room with laminate flooring, enough space and natural light for anyone! Then continue to the kitchen and find a massive dining area, plenty of cupboard and counter space, as well as a full size fridge, stove and dishwasher! Down the hallway find a full bathroom with tub shower, three large bedrooms, the master having a extra large closet and its own private half bathroom ensuite! WOW! Enjoy the large deck in the backyard, as well as exclusive access to the large single car garage!. Utilities are split 60-40%, the main floor being responsible for the 60%. 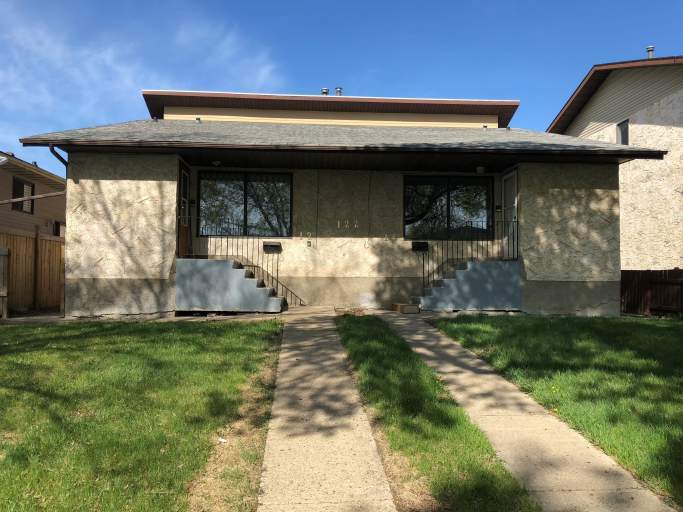 3 Bedroom Main Floor Availability - 12214 77 Street - Main Floor in Elmwood Park!